Key chains There are 8 products. Lighter duty metal key chain and belt clip. Measures 400mm (40cm) in length, 8mm chain link with 53mm belt clip. Perfect for using keys without detaching them from a belt loop. NOT suitable for pet leads. Yellow brass, connector to link two ends of the 31800 ball chain (3.2mm) together. Lightweight pocket key chain. 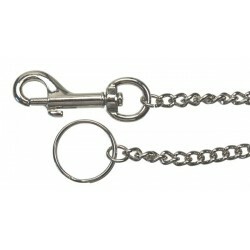 46cm chain comes complete with 25mm split ring and 40mm swivel hook. Heavy duty metal key chain and belt clip. 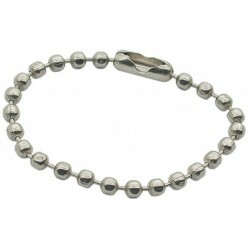 Measures 400mm (40cm) in length, 12mm chain link with 80mm belt clip. Perfect for using keys without detaching them from a belt loop. NOT suitable for pet leads.